When you’re cruising through the streets of Miami, Doral, and Hialeah, you deserve a reliable vehicle that can get you where you need to go in style. If you like performance, then a sedan might be your best bet. Sedans are the most popular class of car available and this has led to a very competitive market. One of the best options is the new 2018 Honda Civic. This reliable sedan has all the power you could want with extra style included, too. Learn all about the 2018 Honda Civic and discover if this sedan is best suited for your needs in our detailed review. 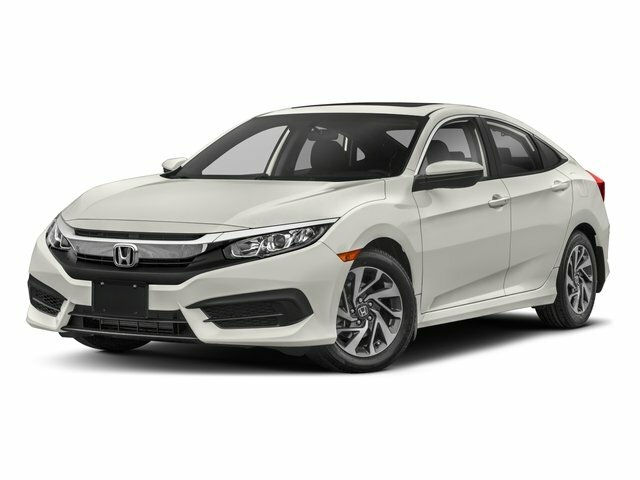 The benefit of driving a sedan is that you get some extra power that’s easy to control, and the 2018 Honda Civic exceeds this expectation. The base model starts out with a powerful 158 horsepower engine that already puts you ahead of many other sedans on the market. That’s just the beginning, however, as you can upgrade to the 174 horsepower engine for the EX-T and EX-L models for additional power. With the Honda Civic’s Continuously Variable Transmission, you know that you’re getting the most out of your engine. If you’re still not convinced, you have the option to get a 6-speed manual transmission that puts you in complete control. Enjoy all of this with an incredible fuel economy earning an EPA-estimated 28 city MPG and an EPA-estimated 40 highway MPG.¹. Inside the 2018 Honda Civic, you’ll find a surprising amount of space for such a compact vehicle. You can enjoy 39.3 inches of headroom and 42.3 inches of legroom, while your rear passengers get 37.1 inches of headroom and 37.4 inches of legroom. For added comfort, you can take advantage of the 8-way power driver’s seat, and leather seats are available, of course. Don’t think they saved all the extra space for the passengers. You still have quite a bit in the trunk with a storage capacity of 15.1 ft3. The rear seats fold down in a 60/40 split, so you can increase that capacity even more. There’s even a trunk pass-through if you need to carry longer objects. Whatever the case is, the Civic was designed for your convenience. A modern sedan wouldn’t be complete without the latest tech, and the 2018 Honda Civic has plenty. Take advantage of the advanced infotainment system complete with Apple CarPlay™ and Android Auto™ capabilities, so you can always stay connected. There’s even a USB audio interface that lets you connect your device while charging it at the same time. The integrated tech isn’t just for entertainment, however. The Honda Civic features numerous driver assistance systems to give you peace of mind behind the wheel. The state of the art Honda Sensing® technology offers incredible features like the Collision Mitigation Braking System. With this system, your Civic constantly scans the area in front of you. If an imminent collision is detected and you can’t hit the brakes fast enough, the Civic will apply the brakes for you. If you truly want to understand all the 2018 Honda Civic can offer, you need to get behind the wheel yourself. At Braman Honda Miami, you can. All Miami, Doral, and Hialeah drivers are invited to take the new Civic for a spin. Our friendly staff stands ready to offer all the knowledge and help you need. Visit our Honda showroom today. ¹28 city/40 highway/32 combined mpg rating for LX model with 6-speed manual transmission. 31 city/40 highway/34 combined mpg rating for LX & EX CVT models. 31 city/42 highway/35 combined mpg rating for EX-T model with 6-speed manual transmission. 32 city/42 highway/36 combined mpg rating for EX-T, EX-L and Touring CVT models. Based on 2018 EPA mileage ratings. Use for comparison purposes only. Your mileage will vary depending on how your drive and maintain your vehicle, driving conditions and other factors.